The Acer K242HYL is a sleek and slim monitor which delivers a vibrant image quality at an affordable price. It is a perfect budget monitor for gaming, everyday use, and even some beginner-level designing due to the highly accurate and consistent colors of the IPS panel. The monitor is Energy Star qualified and delivers a bright image at low power consumption of only 19W and less than 0.5W in the standby mode. In short, both the performance and image quality are surprisingly good considering the monitor’s price. The Full HD resolution is enriched by the vibrant colors of the IPS panel. The Acer K242HYL is an ideal choice for those with a tight budget who want a beauteous monitor for high-quality 1080p gaming, immersive movie watching experience, and an outstanding performance for the all-around everyday use. The IPS panel also ensures wide viewing angles of 178 degrees which will allow you and all those in the room to enjoy watching movies without the shifting of colors when viewed from different angles. The response time of 4ms is as good as it gets with IPS panel monitors as even the most expensive ones feature the same speed. It will eliminate ghosting and trailing of the fast moving objects in the everyday use as well as in fast-paced video games. Although even less expensive TN panel monitors have a quicker response time, the image quality and vibrancy is nowhere near to the IPS and neither are the viewing angles. The Acer K242HYL boasts a 100,000,000:1 dynamic contrast and dubs it as the Acer Adaptive Contrast Management (ACM). It can be manually enabled and disabled in the OSD menu or automatically activated when you apply any of the pre-calibrated picture presets. These presets are a part of the Acer eColor Management feature and consist of User, ECO, Standard, Graphic, and Movie. The User preset is a configurable mode in which all of your settings will be automatically saved while the Standard mode provides you with the default settings. ECO mode saves on the power consumption, Graphic preset offers more vibrant colors and sharper details for photographs, and the Movie mode delivers great visuals with clear details. All of these modes use optimal parameters of the picture and color settings as well as best values of the dynamic contrast ratio. The above mentioned presets can quickly be toggled and applied to the display with the monitor’s first hotkey. Other OSD buttons include shortcuts for the auto-adjustment feature, opening up the OSD menu, adjusting the volume of the built-in speakers, and swapping between the input sources. The auto-adjustment button only functions with the VGA port. Once you open up the menu, under the Picture section, you will be able to alter the eColor feature, adjust the Low Blue Light filter, tweak brightness, contrast, and analog settings of the VGA port such as the position, clock, and focus. Furthermore, you will be able to adjust the OSD menu timeout, aspect ratio, input selection, DDC/CI, overdrive, and the ACM. The Acer K242HYL features a glossy black cabinet with a slim bezel that makes the monitor look modern and elegant. 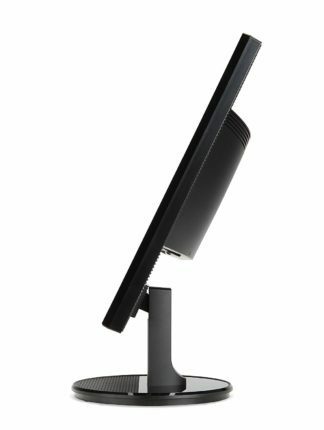 The screen of the monitor can be tilted by -5, 25 degrees and VESA mounted on the wall, but other than that, it has no more ergonomic features. The base of the monitor can be a bit wobbly, but unless you accidently run into your desk too often, it should be fine. 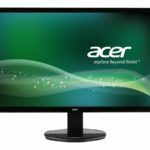 The Acer K242HYL provides plenty compatibility when it comes to the connectivity as it offers one of each: DVI, HDMI, and VGA ports. However, only a VGA cable is provided with the purchase of the monitor. There’s also an audio line-in port for the 2W built-in speakers which provide a decent sound quality, especially after considering the price of the monitor. At the moment (March 2017), the Acer K242HYL can be bought for around $150 and comes with a three-year warranty. The price is quite reasonable considering the crisp Full HD resolution, vibrant image quality of the IPS panel, quick response time, and the exclusive features. It’s one of the rare monitors that are both cheap and good. The Acer K242HYL offers an amazing picture quality and performance at an affordable price. 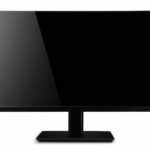 In order to have a noticeably better image and performance, you would have to purchase a 1440p monitor which is much more expensive and among other things, requires a more powerful computer gear. 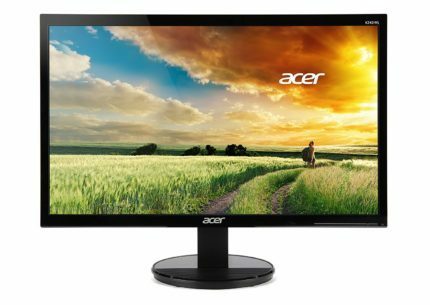 Therefore, the Acer K242HYL is an excellent choice for a budget monitor as it offers high-quality 1080p gaming, crisp Full HD resolution for immersive movies, beauteous slim design, plenty connectivity options, quick response time, and even a few exclusive features such as the well-optimized picture presets and the built-in speakers. All in all, the monitor both looks and performs as a more expensive monitor and once you get it, you will be set for quite some time. 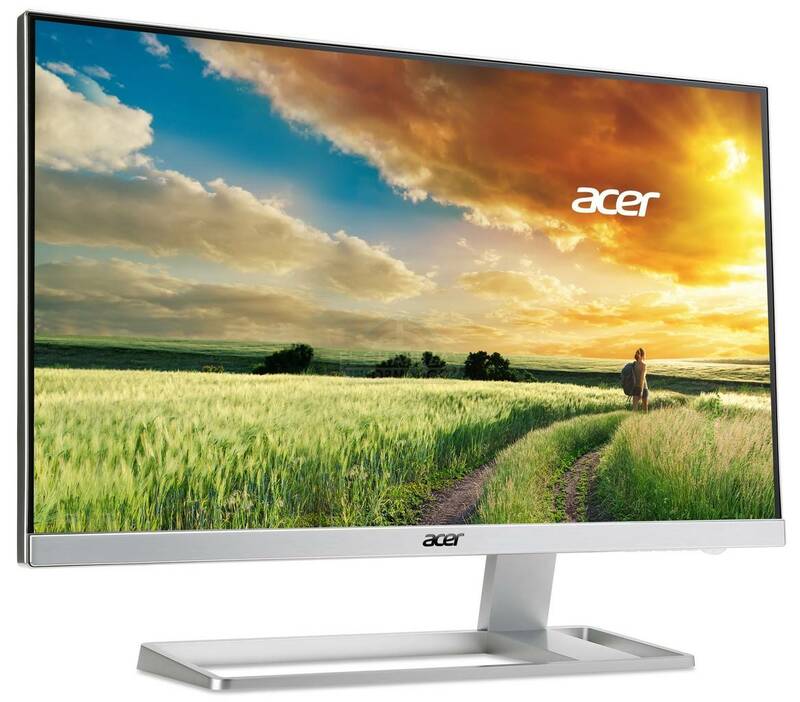 The Acer K242HYL is a budget IPS monitor that delivers Full HD resolution, vibrant image quality, quick response time, and many exclusive features including the built-in speakers, pre-calibrated picture presets, and plenty of connectivity options. Moreover, it looks superb with a slim design.